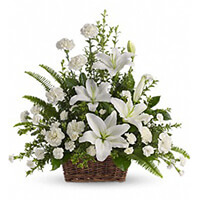 Joan Knight Service Details - Whitby, Ontario | Barnes Memorial Funeral Home Ltd. 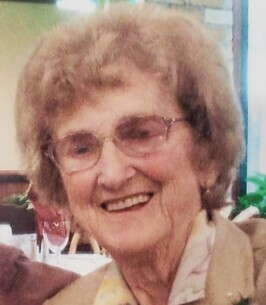 Passed away at Lakeridge Health Oshawa on Sunday October 21st, 2018 at the age of 89. Predeceased by her husband Ted Knight (2010). Much loved mother of Ken Knight and his wife Mary of Oshawa, Don Knight and his wife Eleanor of Port Perry, Brian Knight and his wife Cindy of Whitby, Ivan Knight and his wife Patti of Oshawa, Kevin Knight and his wife Sue of Whitby and Elaine Ewing and her husband Jim of Orangeville. Grandmother of Chris (Wanda), Tim (Elaine), Jeremy (Melanie), Amy (Andrew), Tracy, Stacey, Kim, Lisa (Larrie), Brad (Amanda), John (Jessie), Ian (Meagan), Patrick, Kacey (Shawn), Jamie, Darryl (Kate), Shelby (Matt), Brandon (Courtney), Eric (Madison) and Heather. Great Grandmother of Jenna, Cooper, Tristan, Jason, Larrie, Anthony, Eden, Shepard, Abby and Everly. Predeceased by her sisters Marguerite (Walter), Muriel (Ralph) and Bernice (Wilf). Visitation at Barnes Memorial Funeral Home, 5295 Thickson Rd. N. Whitby on Saturday October 27th, from 2:00 p.m. until time of service in the Barnes Chapel Saturday afternoon at 3:00 p.m. In memory of Joan, memorial donations to Burns Presbyterian Church, Ashburn. I was saddened to hear about the passing of Mrs. Knight. Such fun memories of the Knight's and the Richardson's. Always enjoyed talking with Mrs. Knight, both many years ago and even in recent years when I would run into her in the grocery store. I truly wish I could extend my condolences in person on Saturday but unfortunately will be away. My thoughts will be with you. With fond memories of Aunt Joan we send our condolences to her family. With a zest for life she had a quiet and gentle nature and cherished her family and friends. With a good sense of humour she weathered a life well lived. We will miss her. To the Knight family: We were sorry to hear of the passing of your Mom/Grandmother/Great-Grandmother. Our thoughts are with you at this difficult time. Cherish the happy memories. Our sincere and heartfelt sympathy is extended to the Knight family with the passing of their mum, grandma and great-grandma. She was also an awesome aunt who always had a smile and hug ready for the rest of her family. A zest for life and an unstoppable enthusiasm for any adventure, we could all take a page out of her book and be better for it. Rest in Peace Auntie, it is well deserved.